Silent Hill 2 PC comes with improved flashlight lighting, a quick-save function, real-time weapon swapping and a movie gallery. Many features from the PlayStation 2 version have been downgraded, but mods can restore some and improve compatibility on modern systems. SecuROM 4 DRM. Patch 1.1 removes the DRM. There are two versions: the North American version and the European Director's Cut version. If the title screen lacks "Director's Cut" on it, it's the North American version. Both versions include the extra scenario Born from a Wish along with an extra UFO ending. Silent Hill 2 Enhancements is a collection of unofficial mods which implement widescreen resolution support, add PlayStation 2 quality audio and fog that were missing from the PC version, improve controller support and much more. See also Enhanced Edition Essential Files and Enhanced EXE. The PC version's audio is compressed and lacks detail in comparison to the PlayStation 2 version. The Audio Enhancement Pack replaces the PC version's audio files with the original, higher quality PlayStation 2 ones. The PC version's FMV videos were re-encoded in Bink format and run at 30FPS instead of 60 on PlayStation 2. The FMV Enhancement Pack improves the quality and upscales the resolution of the FMVs. Configure the width and height and other options in Silent_Hill_2_PC_Fix.ini. options.ini stores gameplay and volume settings. settings.ini stores video and audio settings. Use Silent Hill 2 Enhancements. Frame rate is capped at 30 FPS. 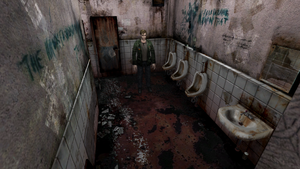 Use Silent Hill 2 Enhancements to unlock the frame rate. Install Silent Hill 2 Enhancements. Set IncreaseNoiseEffectRes to any value between 128 and 4096 to adjust the resolution. Mouse buttons cannot be remapped with other keys. Not supported in the pause menu. Use Silent Hill 2 Enhancements to assign multiple actions to any button. DirectInput only. Use Silent Hill 2 Enhancements to restore vibration for XInput-based controllers. Analog triggers and vibration on XInput controllers won't function without workarounds. 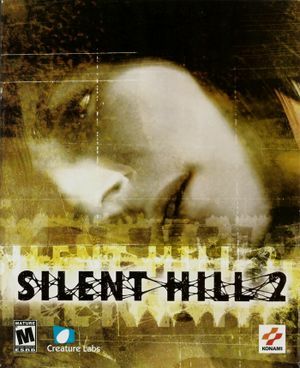 Install Silent Hill 2 Enhancements to restore vibration for XInput-based controllers. Set the Target Program to sh2pc.exe. May require DirectSound3D restoration software to restore hardware-accelerated 3D sound functionality on Windows Vista and later. 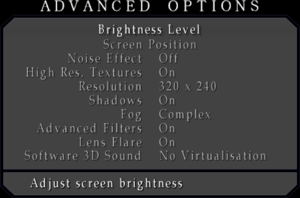 Use Silent Hill 2 Enhancements to restore the language selection in the options menu. Fan translation, download. Includes a widescreen patch. Fan translation by «HomeTown.ru / Ashigaru». Some of the game's elements play too quickly or bug out. The handgun and shotgun bullet casing sound effects don't play correctly. The PC version lacks soft shadows present in the PlayStation 2 version. The game can only run stably on a single core. Open d3d8.ini and ensure SingleCoreAffinity = 1 is set. On Windows 7, having single core affinity enabled through Silent Hill 2 Enhancements may prevent the game from running. Change SingleCoreAffinity = 1 to SingleCoreAffinity = 0. Doing this will require manually changing the single core affinity from Task Manager every time you run the game. Copy dsound.dll and dsound.ini to the installation folder. Change earlyStopFadeOutTime = 0 to earlyStopFadeOutTime = 0.002. Ensure WhiteShaderFix is set to 1. Open sh2pc.exe with a hex editor such as HxD. Press Ctrl+G and go to the address 001356D1. Change the value CF to C8 and save the changes. Click on the Direct3D tab and enable Disable Fogging. Click OK, File, Save, and start the game with DxWnd running. sh2pc.exe may have no icon set by default. Download Rcedit depending on your OS bitness, and copy it to <path-to-game>. Download sh2_newicon.zip and extract sh2_new.ico to <path-to-game>. Type in and enter cd <path-to-game>. Replace <path-to-game> with the actual path; e.g. cd C:\Games\Silent Hill 2. Type in and enter rcedit-x64.exe sh2pc.exe --set-icon sh2_new.ico. If you use the 32-bit version, replace rcedit-x64.exe with rcedit-x86.exe above. This page was last edited on 19 April 2019, at 05:56.